Lancashire (Todmorden, Rochdale), Manchester (Oldham, Saddleworth). 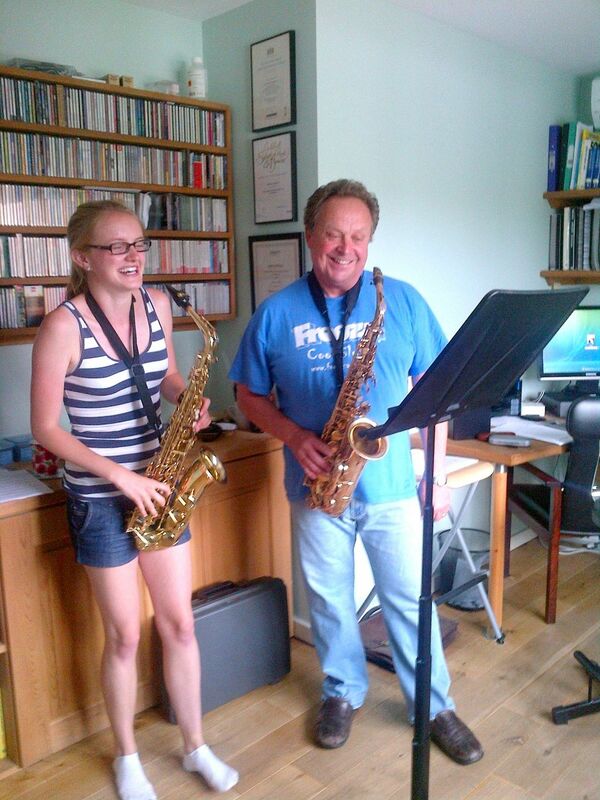 All levels and all ages - beginners especially welcome; Pop, jazz, classical-all styles; Learn just for fun; Come and join sax ensembles - all abilities catered for; ABRSM, Trinity College and GCSE syllabuses are also taught along with music theory (jazz) and improvisation. I enrol candidates for exams three times per year and I can boast a 100% pass rate! I am the Bandleader and Music Director of the Calderdale Big Band based in Ripponden, and some of my students play in the band! I run a number of sax groups catering for all levels of ability. I have my own air-conditioned studio at Rishworth. I am happy to loan a Yamaha alto saxophone until you're ready to decide. Why not book some taster lessions? An ideal gift!! I hold an ATCL Recital Diploma in Saxophone. I am CRB checked (Sept. 2013) and M.U. registered. I have always loved the sound of the saxophone and was lent one by my brother. However, having reached the age of sixty without ever having learnt to read music or to play a musical instrument, I needed to find a teacher prepared to take on a challenge!